Dennis' BIKE OF THE WEEK is a 2017 Harley-Davidson Softail Deluxe in "Harley Black" with 16" bars and matching cables! There's only 1 left and Dennis has all of the details! Sheryl is back and louder than ever in our all new Harley-Davidson Victorville Guns N' Roses Motorclothes! BLOOD DRIVE: Fuel A Life! Join us at Victorville Harley-Davidson on Saturday, October 21st from 10:00 A.M. - 3:00 P.M. as the blood donation truck will be on site! TENT EVENT: 2018 Model Release starts at Victorville Harley-Davidson on Saturday, October 14 and ends on October 15! Join us for a FREE COSTCO HOTDOG AND DRINK while experiencing the all new 2018 Harley-Davidson lineup! Over three BIKE NIGHTS thousands of Harley-Davidson riders joined us for great food, great music, great bikes and great friends. To our Victorville Harley-Davidson Family... we say thank you and we'll see you again very soon! CARY CARES ABOUT TRIKE MONTH and has a very important message just for you... "Unless your MONEY grows on trees... the place to be is VICTORVILLE HARLEY-DAVIDSON!" Dennis or 2018 Sport Glide? One is the gift that keeps on giving! This bike captures Dennis' imagination and that is saying a lot because he has one hell of an active imagination! If Dennis is impressed we promise you will be too! Call Today: 760.951.1119 or e-mail: info@victorvilleharley.com to take this bike for a test ride on the iconic Route 66 only at VICTORVILLE HARLEY-DAVIDSON! 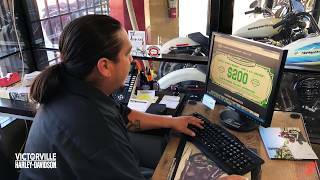 Vic has something fresh, new and special just for you... 2018 Street Glide Special. FACTORY DEMO RIDE 2018: IT GETS NO BIGGER! FACTORY DEMO RIDE 2018: I'LL BE THERE! Southern California's largest HARLEY-DAVIDSON FACTORY DEMO RIDE returns... April 7th & 8th only at VICTORVILLE HARLEY-DAVIDSON! FACTORY DEMO RIDE 2018: HEY! HEY YOU! HEY! HEY YOU! Are you coming down to our FACTORY DEMO DAYS... April 7th & 8th at VICTORVILLE HARLEY-DAVIDSON?! 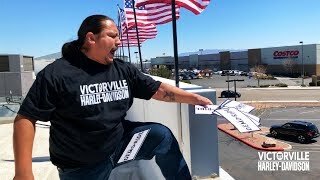 Vic continues his spring cleaning and finds our last 2017 Fat Boy... here at VICTORVILLE HARLEY-DAVIDSON! CALL: 760.951.1119 or E-MAIL: info@victorvilleharley.com for more information! 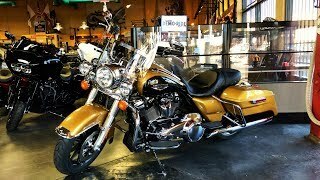 Vic does some spring cleaning and finds one last 2017 Road King! CALL: 760.951.1119 or E-MAIL: info@victorvilleharley.com for more information! DON'T BE A CHICKEN... TAKE A FACTORY DEMO RIDE! Don't be a chicken... take a FACTORY DEMO RIDE this weekend, April 7th + 8th and get a FREE KFC lunch... here at VICTORVILLE HARLEY-DAVIDSON! Special thanks to our friends at KFC - Kentucky Fried Chicken! This weekend's FACTORY DEMO RIDE is going to be finger lickin' good! 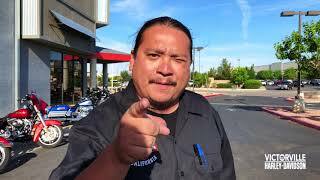 Get a FREE TEST RIDE and FREE KFC lunch at VICTORVILLE HARLEY-DAVIDSON! BE HERE! FACTORY DEMO RIDE THIS WEEKEND! 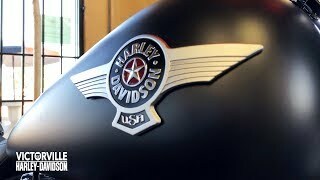 Southern California's largest HARLEY-DAVIDSON FACTORY DEMO RIDE is here! Join us at VICTORVILLE HARLEY-DAVIDSON this weekend! Get an EXCLUSIVE sneak peak inside the FACTORY DEMO TRUCK as we set up for this weekend... here at VICTORVILLE HARLEY-DAVIDSON! 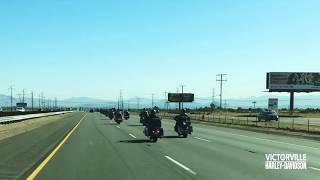 A special thank you to our VICTORVILLE HARLEY-DAVIDSON family for making this year's DEMO RIDE weekend the largest in Southern California! Visit VICTORVILLE HARLEY-DAVIDSON this weekend during our Cinco De Mayo: Biker Fiesta to check out this 1999 FXR3 with 9,595 miles... THIS WEEKEND ONLY - SPECIAL PRICE $11,999! VISIT: victorvilleharley.com for more information or CALL: 760.951.1119. 2018 STREET BOB: A fresh batch has arrived here at Victorville Harley-Davidson! 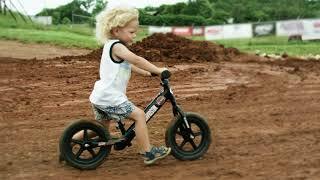 BIKE NIGHT returns Saturday, May 19th, 5:30 PM - 8:30 PM! Vic introduces Crystal our newest team member! IT PAYS TO BE POPULAR! Vic is getting pumped about this new offer! There's nothing more American than spending money on you! In honor of Memorial Day weekend we are opening the vault and buying your trade-in! CALL: 760.951.1119 or E-MAIL: info@victorvilleharley.com to set up an appraisal appointment! There's only 1 last 115 Anniversary left at Victorville Harley-Davidson! VIC WHAT ARE YOU DOING UP THERE? It's never been easier to make your own history with SPECIAL FINANCE OFFERS all summer long... here at VICTORVILLE HARLEY-DAVIDSON. CALL: 760.951.1119 or VISIT: victorvilleharley.com to learn more! 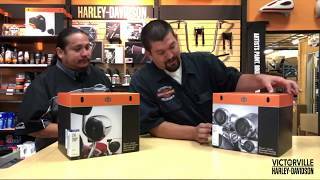 Vic and Phil explain why our parts department is rockin' with the arrival of the Boom Audio Amplified Cruiser Kit! The owner of VICTORVILLE HARLEY-DAVIDSON rides the all new LiveWire! BIKE NIGHT: Luau! Saturday, August 18th, 5:00 PM - 8:00 PM. Authentic Hawaiian BBQ, Tropical Bar provided by Johnny Fingers and live music! 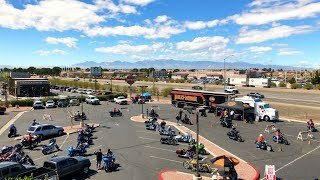 Come to escape the heat and feel the cool breeze behind the last of our 2018 Harley-Davidson motorcycles! 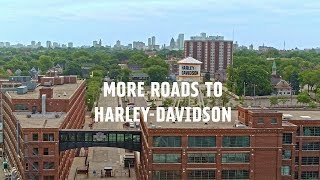 Check out what 2019 has in store for Harley-Davidson! 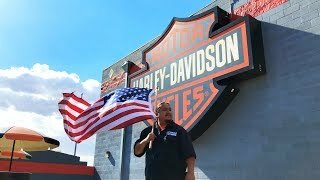 Go back in time and experience never before seen, lost footage of Victorville Harley-Davidson on it's first day in business! Join us for the start of our 25th Anniversary Celebration this Saturday, September 15, 11:00 AM - 4:00 PM at 14522 Valley Center Drive, Victorville, CA 92395. Featuring Tommy's World Famous Hamburgers, Beer (provided by Johnny Fingers), Kona Ice, Pre-Owned Sales & Give-A-Ways! See you here! 25 YEARS ON ROUTE 66! Victorville Harley-Davidson celebrates 25 years on September 15th! Vic introduces our newest team member and showcases the 2019 CVO Road Glide in Mako Shark Fade. 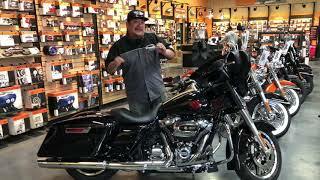 Vic is speechless when it comes to this 2017 SOFTAIL SLIM S so Cary has to step in to help! Vic Wants to show you the 2019 Billiard Blue Road Glide Special!